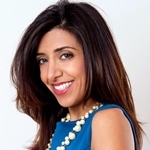 Lena Guirguis is an Ottawa-based real estate investor, Senior Managing Partner at Ottawa Capital Partners, and one of the founders of NV Property Management, a boutique property management firm. Where were you when you finished university? Did you think you’d be where you are now? I was actually managing fitness clubs when I was in university. I was studying nutrition and wellness, so I figured I’d be a dietician, working with people to help get their nutrition and wellness under control. I was definitely not expecting to take the turn that I did. I think what makes us most different is when we started out, I was in school full-time, and my husband was unemployed. We had no money or support from our families, and when we got involved in the business itself, we ended up with people who were taking advantage of us. We turned the hurt and the anger into passion to make this industry a better place for other investors who may be in a similar situation. We work with newcomers and people who may not have a means of financing and actually get them set up. I would say that I am a morning person. I work from about 7:30 a.m. to about 1 a.m. I’m always up early and I like to get my day started early. I would like to be in bed by midnight, but that doesn’t happen very often. What is some of the criticism you’ve received? As a female in the industry, it makes things more challenging. We invest in a lot of small markets in Ontario, and the individuals I deal with tend to be old-fashioned. Many of the men in the permit offices or in the construction industry don’t take me seriously. They talk to me as just as the “little lady,” and they tell me that the position that I am in is “men’s work.” When I’m firm with them, I’m referred to as many things, other than a person who stands my ground, such as unpleasant or uncooperative. If my husband goes in, he’s referred to as a man standing his ground.